Data entry counts as one of the most popular jobs for freelancers these days. It entails entering information into a certain format, or moving information from one medium to the next. Projects can vary from straightforward Word or Excel data entry and typing to transcription and electronic data processing. It’s one of the easiest fields to get into, and offers some of the most convenient work-from-home jobs. 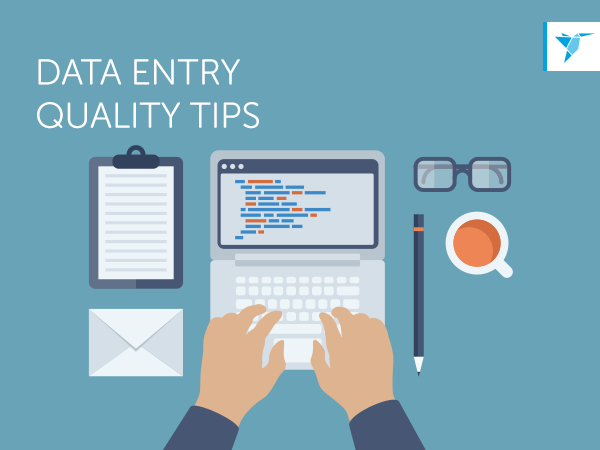 Quality is paramount for data entry jobs. One wrong word or a figure missed can affect an entire project. Here are our top three tips for keeping quality in check. This is not a job for sleepyheads. Data entry requires attention to detail, and it is important to be alert while executing projects. Try not to multitask. Dividing your focus and losing your concentration can result in mistakes and data loss. Take a break whenever you feel you are losing focus. Have coffee or tea on the ready once drowsiness hits, or play ambient music to help you stay awake. Relax for a bit and come back to it when you’re feeling recharged. Working with a lot of data can take a long time, so being able to do things fast is a requirement. Learning keyboard shortcuts (Windows, Mac) should make for faster typing. Organizing the data first before moving it all into documents should help you finish projects faster as well. Being quick doesn’t mean sacrificing quality though. Go over documents before submitting them. Double-check your notes, facts, numbers, and other details too before declaring a job done. Keep databases and records updated. Maintaining a database and keeping records are completely necessary in data entry. Update them every time a project is finished and don’t let the data pile up on you. Doing this will give you a valuable reference for future projects, and also provides a backup in case you misplace anything. Data entry may sound simple, but it involves accuracy and tenacity. Keep these tips in mind for smooth-sailing projects next time. Raring to work on a data entry job? Browse through the Freelancer data entry jobs list and start bidding! How Do Hourly Payments Work? Everything you need to know about hourly payments.